And another baseball season has passed. And some more cookies have been eaten. 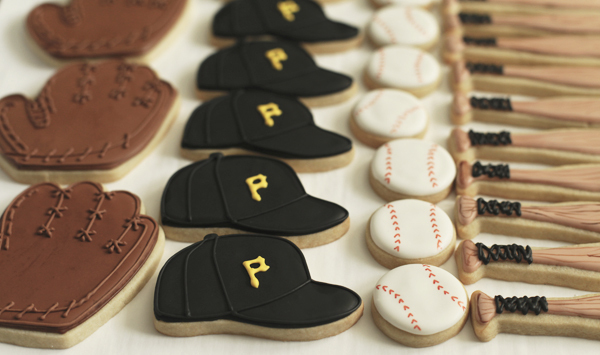 This batch of baseball cookies was of course for my little guy's team. If you're looking for my recipes or instructions on using royal icing, go here! 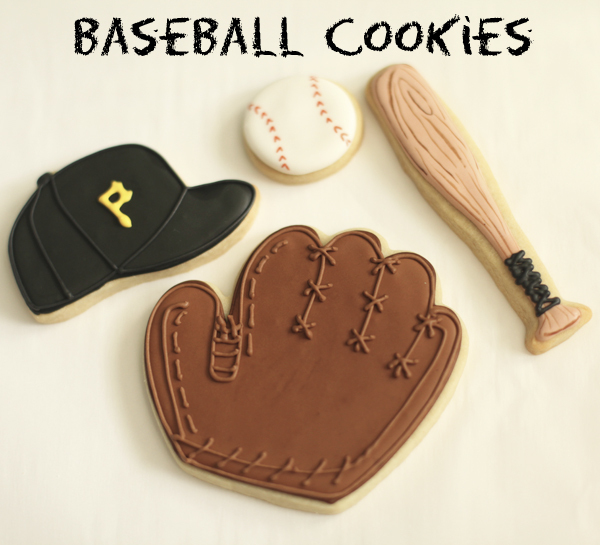 Here's the low-down on this particular batch though...The baseball cookies were about the size of a 50 cent piece so I did the detail with an edible ink pen instead of royal icing (like I did here). The wood grain on the bat was done with a paintbrush and watered down gel food coloring. The rest of the detail is just royal icing. I know this little guy can't fully appreciate the effort that goes into these, but he WAS rather excited about them. He thanked me several times that day and told me I'm a really nice mom. I would say that handing out his cookies was his favorite post-game moment, but it's hard to compete with a participation trophy. 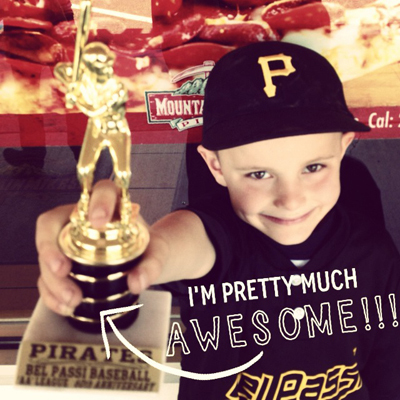 Yep, the participation trophy beat out my baseball cookies on the coolness scale by far, but I'm okay with that. I don't expect to be cooler than a trophy any time soon.